The experts at Anderson Economic Group have considered 11 taxes that businesses pay in order to produce the most comprehensive business tax burden ranking to date. 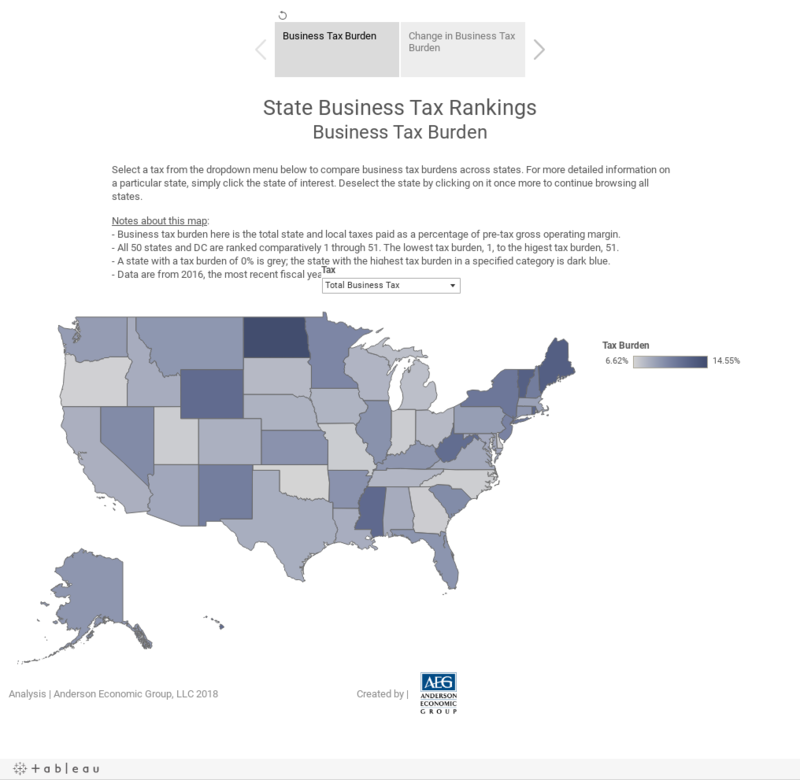 To understand the burden taxes place on businesses in each state, we go beyond the amount of tax revenue governments collect and analyze how taxes paid by businesses compare to income available to pay the tax. Using the most recent fiscal year data available, 2016, we have used taxes paid as share of profits, as this measure directly compares taxes paid to business income available to pay the tax. The report shows Oklahoma, Oregon, and North Carolina in the top three with the lowest burdens, and Vermont, Maine, and North Dakota at the bottom with the highest burdens. In addition, Colorado and Montana saw the largest relative drop in tax burden from 2015 to 2016. View previous AEG tax burden rankings reports. For inquiries, please feel free to get in touch.